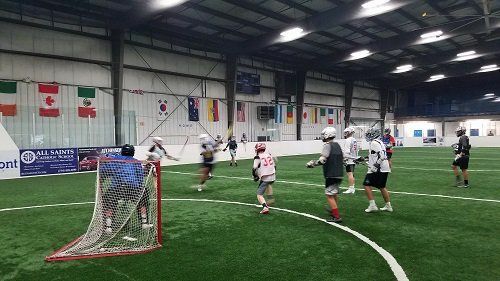 Experience the benefit and excitement of real box lacrosse! The 30-second shot clock forces players to play fast. The smaller playing field develops stick skills and handling under pressure. The smaller goals/padded goalies make players dial in their accuracy. It’s fast, it’s fun, and it electrifies your skillset. Managers may register teams or players may join as free agents. Free agents without a PLG pinnie must purchase one for an additional $15. Register a team or join as a free agent to participate in the 8v8 dome lacrosse league. 8v8 short field games combine the action of 7v7 with the concepts and strategies found in 10v10. By adding an extra midfield player, (2 Att, 3 M, 2 D, 1G) offenses learn the importance of triangle rotations while defenses are able to defend with a slide/recovery package not found in other small sided games. The shorter field and tight quarters improve player stick skills, lacrosse IQ, and decision making. This league has been at capacity for 7 consecutive seasons – register today! The PLG Difference is not simply a slogan or catch phrase. The PLG Difference represents what we provide–a comprehensive program and system of lacrosse development for players. The PLG Difference represents years’ worth of coaching and playing experience from our network of professional high school and college coaches. The PLG Difference is evident in every player’s growth and development. The PLG Difference is defined by our instructional-based training method. We train, we re-train, we correct, we improve, and we help our players excel by teaching them the fundamentals of the game including; how to properly catch, pass, shoot, dodge, defend and more. We create fundamentally sound lacrosse players with a strong lacrosse IQ and a solid understanding of the game. 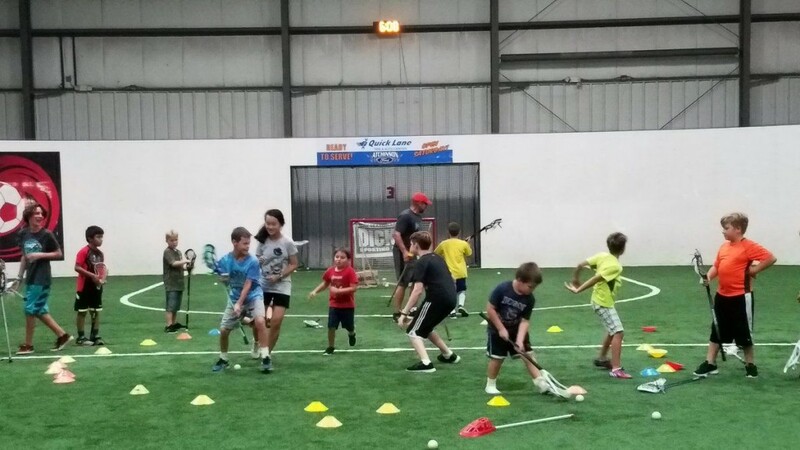 The Premier Lacrosse Group believes it is critical for players to begin with the proper fundamentals from the first time he or she picks up a stick. The sooner a player experiences The PLG Difference, the more likely he/she is to develop to recognize his/her fullest potential. Our unparalleled dedication to coaching is driven by our passionate coaches with proven track records of coaching success. We deliver our superior training throughout the year, allowing lacrosse players at all levels become better, more confident athletes. For more information on the Premier Lacrosse Group, visit their website at www.premierlacrossegroup.com.